The Paulaner monks began brewing in 1634 and since then the Paulaner brewery has been an integral part of Munich’s culture, tradition and history. Initially, beer produced by Paulaner was intended only for the monks at the monastery but soon the people of Munich discovered this quality brew. A letter of complaint in which local brewers attempted to counter the competition posed by what was essentially a monastic brewery is considered to be the brewery’s founding document. The brewers had no success since the royal court in Munich sided with the Paulaner monks and granted them the unrestricted right to sell beer to the public. In 1773, the monk Valentin Still, better known as “Bruder Barnabas”, was the Paulaner brewmaster and went down in brewing history for developing the Salvator beer – the father of all “strong beers” – which today is still brewed according to the original basic recipe. The monastery was forced to close down in 1799 and was operated as a state enterprise until 1806 when it was bought by Franz Xaver Zacherl. Under new management, the brewery expanded operations and modernized. Upon Franz’s death, the brewery passed to his nephews, Heinrich and Ludwig Schmederer who in turn changed the name of the brewery to “Gebrüder Schmederer Aktienbrauerei”. In 1899, the name of the brewery was changed to “Aktiengesellschaft Salvatorbrauerei”, which from that time on acquired share-holdings in long-established breweries in Munich and Bavaria. A joint venture with the brewery “Gebrüder Thomass, Bierbrauerei zum Thomasbräu” was established in 1923. In 1928, the two breweries were merged to create “Paulaner-Salvator-Thomasbräu”. The Paulaner brewery is still located in the middle of Munich, at Nockerberg in the Haidhausen district of the city. The strong connection to the region also manifests itself in the brewery’s strong presence at Oktoberfest – an event that is dear to Paulaner’s heart. 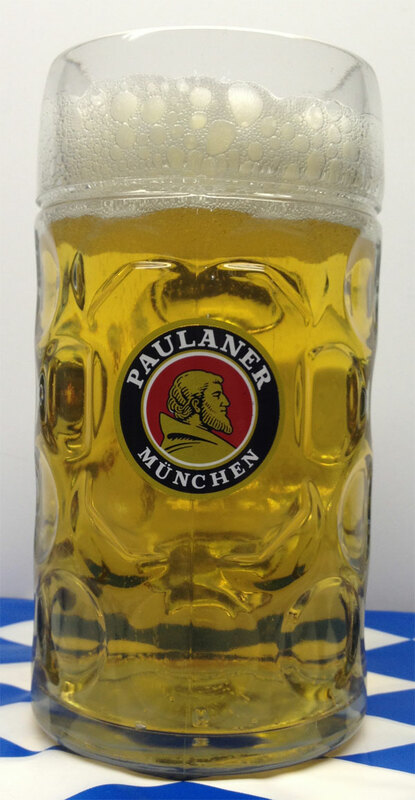 The brewery’s logo with the head of a monk as well as the claim “Gut – besser – Paulaner” (Good – Better – Paulaner) makes Paulaner an integral part of Oktoberfest. Paulaner beer can be found at a number of tents on the Oktoberfest grounds. Their biggest tent, “Winzerer Fähndl” is easily recognizable by the famous Paulaner tower with its oversized beer mug at the top.